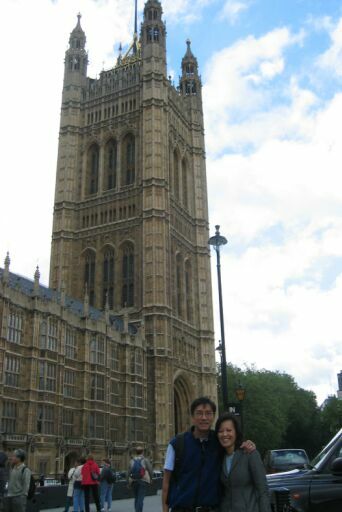 This is my second trip to London, the first time was in 1994. Where did the time go??? I can't believe it was decade ago... . The day we got to London it was a rainy, windy and cold day. This is the end of our trip so we were all exhausted. 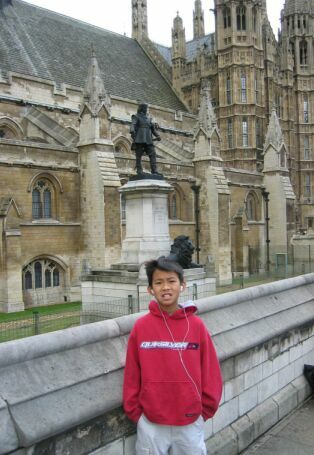 I only wanted to visit Westminster Abbey and just tour around London. 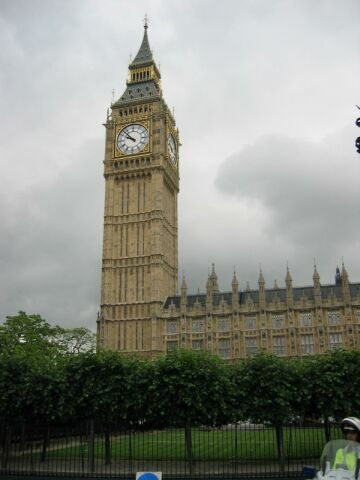 Big-Ben, the world most famous clock. 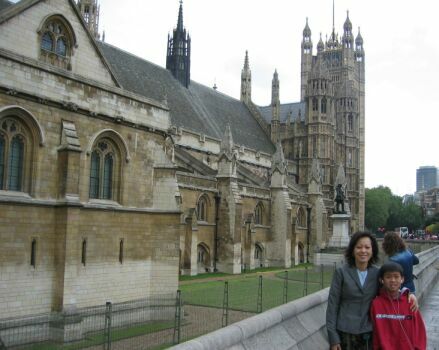 The House of Parliament which is next door to Big Ben and across the street is Westminster Abbey. 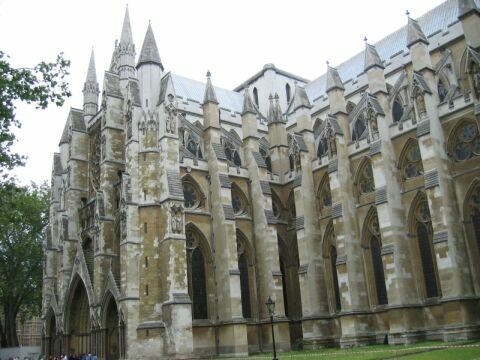 An architectural masterpiece of the thirteenth to sixteenth centuries, Westminster Abbey also presents a unique British history - the Confessor’s Shrine, the tombs of Kings and Queens, and countless memorials to the famous and the great, such as William Shakespeare. 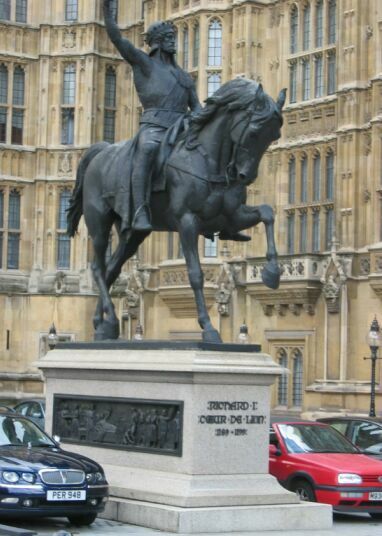 It has been the setting for every Coronation since 1066 and for numerous other Royal occasions. 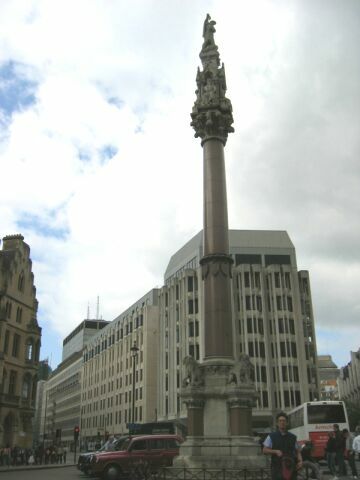 Today, it is still a church dedicated to regular worship and to the celebration of great events in the life of the nation. A while ago, I remembered watching Princess Diana's funeral on TV. 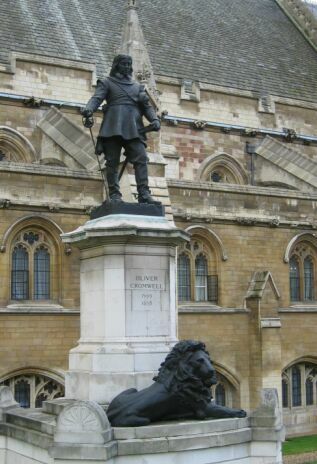 Her coffin was drawn on a carriage through central London to Westminster Abbey, where the royal and Spencer families gathered for the funeral service. 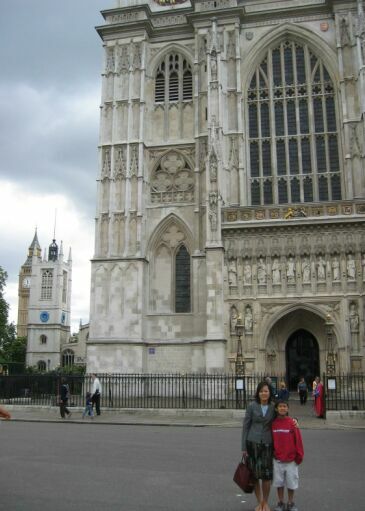 I also remembered Elton John playing the organ/Piano at her funeral inside the Abbey... So much sadness. Unfortunately, they did not allow anybody to take picture of the interior... what a pity! 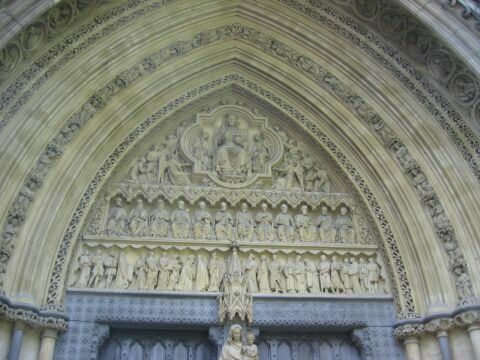 Close up of the Entrance to Westminster Abbey (gothic style). 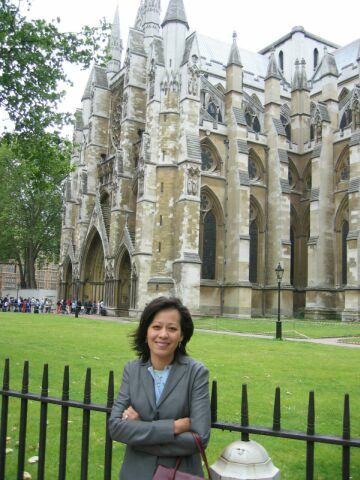 Too bad we were not allow to take pictures inside of the Abbey.